Watch As The NU Undertones Deliver An Ethereal & Impassioned Take On "If I Had A Boat"
What's the one thing that a cappella typically excels at over other genres....the element of purity. Let us explain. A cappella at its core is unequivocally pure, no instruments, just voices. The real magic and authenticity of this pureness often comes when a remarkable singer connects with you on another plane. To say that the Northwestern University Undertones achieve this is not giving them enough credit. In this #WCW video, the coed group covers James Vincent McMorrow's "If I Had A Boat" and let us just say, wow! There are so many good things happening in this video. The textures of indie and alt are effortlessly expressed due in part to such an inventive arrangement. The backing group is art come to life as they deliver colorful vocals that leave a long-lasting impression. And the group's lead...holy cow! What a phenomenal talent! 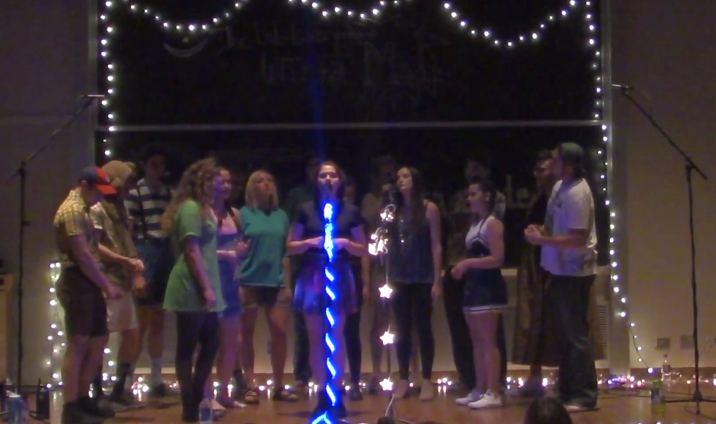 This is not your stereotypical college singer. There's a warmth and quality to her voice that feels as if she has been in the music business for decades. The story that is being told through these vocals is one that you never want to end. This is the type of performance that touches the soul, causing you to get lost in the moment. Check out "If I Had A Boat" below.